International luxury brand Dior is using BrightSign players to drive video walls in 13 stores and concessions in Europe and Asia. The installation was conceived and is managed by Digitalli, a media content agency. Dior stores and concessions in France, UK, Italy, Spain, Russia, China and Japan feature two or more video walls with 2-5 synchronised screens driven by BrightSign players. Dior commissioned Digitalli to provide synchronised video content to run on all of the screens worldwide. Bertrand Degien, Technical Director, recommended BrightSign players for the new Points of Sale (POS) they installed. BrightSign solid state players are the playback platform of choice for Digitalli at new stores around the world based on their stellar image quality and total reliability. The Dior installation is challenging in two ways. 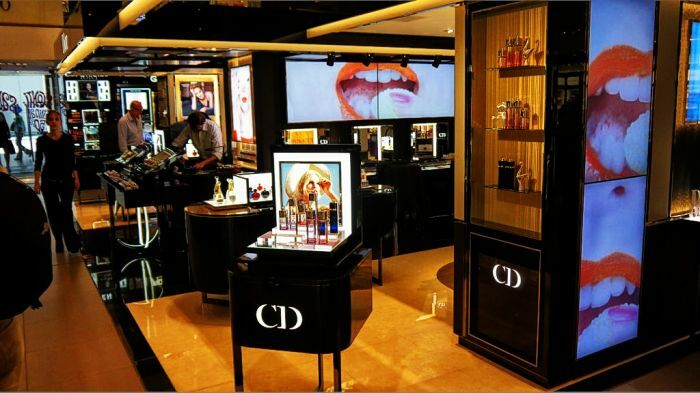 Installations in Dior stores and concessions worldwide are carried out by local AV integrators and as a result the format of the screens isn’t completely standard. Secondly, the Internet connection in some stores cannot be used to upload content due to security restrictions.